In August 1968, NASA made the bold decision to win a major battle in the Cold War by launching the first manned flight to the moon. President Kennedy's deadline of putting a man on the moon by 1970 was fast approaching, but Frank Borman, Jim Lovell, and Bill Anders were up to the challenge to make a huge advancement in order to meat the deadline. Apollo 8 tells the full story of the mission from Mission Control to the astronauts' homes, from the test labs to the launch pad. Apollo 8 also gives a summary of the Mercury, Gemini, and the other Apollo missions and talks about the science behind the mission in an easy to understand manner. 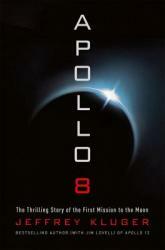 From the coauthor of the bestselling book about Apollo 13, Apollo 8 is a thrilling yer informative tale and a great resource to have. I highly recommend this book for anyone in high school or older who is fascinated by the space program or is doing a project on anything related to NASA. This book was okay. 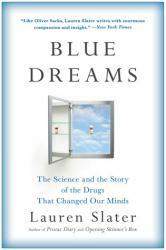 It takes the reader through the history of psychotrophic drugs. It's overall pretty dry. There are some parts that are very interesting, such as the author's struggles with psychotrophic drugs and the use of psychedelics in psychiatry, but overall I was pretty bored reading it. Maybe I'm not the target audience. Maybe it's geared more toward the academic set. But I did learn some, so I give it 3 stars. 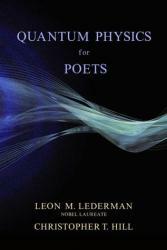 Quantum Physics for Poets explains some of the most arcane quantum physics topics to readers in a form which captures imaginations and aids understanding. Mr. Lederman and Mr. Hill have managed to write a book that spans simpler topics to far more complicated topics that most will never encounter, with a poetic theme to it that speaks to readers’ artistic souls. The blending of right brain and left is exceptionally done, managing to combine a love of understanding the world around us and a love of the singularly beatific rhythm that poetry provides in one’s life. An excellent book and an enthralling albeit challenging read, I would recommend this book to anyone with a high level of interest in the sciences, particularly physics, and a large interest in exploring its greater depths. 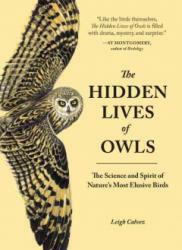 The Hidden Lives of Owls is a gripping nonfiction book that not only builds one’s knowledge of the species, but actively forges a bond between readers and the unique creatures. The book chronicles Mr. Calvez’s journeys through nature’s forests as he observes the innermost habits of owls. Mainly, Mr.
Calvez observes the owls at night, giving way to the book’s title of “Hidden Lives”, as he observes things one would not usually see in the daytime. Through its first-person narration by Mr. Calvez, a naturalist, the Hidden Lives of Owls reveals many aspects of the life of the owl about which one would never before be aware. I would recommend this book to anyone interested in the mysterious creatures that are owls, and interested in searching out further facts about these beautiful, wonderful, animals than is seen on the surface. Everyone knows the name Darwin. The name is synonymous with one of the most important theories ever generated by mankind. At this point in the world, the name is less a name and more a representation of something much greater. Yet, as Mr. Welson leads us to question in his book Darwin’s First Theory, how deeply do we truly know the man who changed the face of our understanding of earth forever? 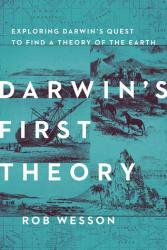 Written by leading geologist Rob Welson, Darwin's first theory explores the beginning of Charles Darwin’s quest to find a theory of the earth, and explores how his early theories helped shape his future and most famous theory of evolution. By bringing us along through well-researched narration of Mr. Darwin’s first journey on the HMS Beagle, Mr. Welson brings us to a greater understanding of the man whose theory shaped modern biology around the world. Darwin’s First Theory is an informative read. To anyone interested in Darwin, and interested in a greater understanding of biology's most influential theory, I would recommend this book. 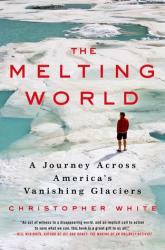 The Melting World, a tale of the author’s journey to Montana and beyond in order to better understand global climate change, is a powerful commentary on the state of global warming in our world today. Mr. White’s research is as fascinating as it is frightening, gripping us and emboldening readers to continue the changes in the world such that these caps cannot continue to atrophy at the rate they are. Since Mr. White traveled to Montana, and did research regarding the Rocky Mountain Ice, the Melting World hits close to home for Coloradoan readers. 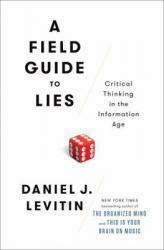 The book is neither overly long nor overly short, so one is left with a satisfied feeling of comprehension of the situation without being bombarded by information overload. Naturally, the Melting World is not a light book, and can be an upsetting one, but a book which is important to read nevertheless. To anyone who cares about the environment, I would recommend this gripping read. The Immortal Life of Henrietta Lacks by Rebecca Skloot is a powerful narrative detailing one of the most revolutionary scientific and medical discoveries of the 20th century: HeLa cells. Henrietta Lacks was diagnosed with cervical cancer in 1951 when she was 31 years old. During a surgery to remove some of her tumor, one of her surgeons took a sample of that tumor for testing in his lab. As he had tested many other cancerous cells, he expected Henrietta's cells to die within a few hours. They never did. Her cells continued to reproduce, and still do to this day. Henrietta's family, however, was never notified that her cells were taken. They discovered this in a news article years after the fact. The book not only tells Henrietta's story, but her family's as well. Rebecca Skloot worked for years with the Lacks family to ensure that justice was done, and Henrietta was not lost to history. I enjoyed the personal perspective that Skloot used to tell the story. It had the full potential of being written like a scientific journal, but Skloot told it as a beautiful narrative. Henrietta, her husband and children, and even Rebecca herself were characters and there was emotion on every page. It reads like a novel. 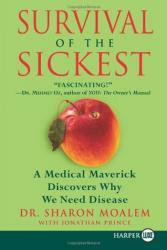 I would recommend this book to anyone interested in medicine and its history. Growing up in the 1990’s, one of the defining books that helped me understand the world around me was David Macaulay’s The Way Things Work. Using “cartoonish” drawings of plenty of everyday (and not so everyday) machines, I gained plenty of useful knowledge that probably led me to eventually earn my Master’s Degree in Mechanical Engineering in 2009. While Macaulay’s illustrations were straight forward enough that they didn’t need explanations, some concepts around today certainly need some words to help gain an understanding of the way things work. 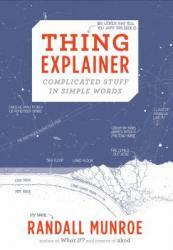 Enter Randall Munroe, famed “xkcd” webcomic author and an all around smart guy. In late 2012, he published a comic that described each of the systems in NASA’s Saturn V rocket with simple words. Described as “U.S. Space Team’s Up Goer Five,” the concept of using shorter, more common words to explain complicated concepts came to its full fruition in Thing Explainer. Using the thousand most common words, Munroe manages to humorously and thoroughly explain such “things” as the U.S. Constitution, The International Space Station, and the Large Hadron Collider (amongst many other common and complicated ideas). While the concept is fun and this book could easily be used to help children understand these fascinating ideas, the thousand-word constraint is also its biggest weakness. Sure, I could deduce that “shafts” were usually “sticks” (or “hallways” if they were like mine shafts), and “fire water” often meant gasoline (or some other combustible fuel). However, I often found myself trying to figure out what the actual name of the item or part in question was because the “simple” name wasn’t self-explanatory. Also, it was sometimes a challenge to read all the small text, as it usually wasn’t arranged in a linear format, instead appearing in chunks around the illustrations to be close to the parts that were being described. 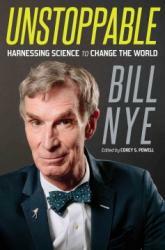 A unique concept to bring advanced technological knowledge to everyone, I give Thing Explainer 4.0 stars out of 5.
from the get-go, Nye hammers home that global climate change is a problem. instead of out of the hope of what our future could be if we act now. quite admirable and I think everyone should give his ideas a chance. This book tells three intertwining stories and spans decades, centering on an immortal line of human cells, taken from an African American woman named Henrietta Lacks in the 1950’s. She was afflicted with an aggressive form of cervical cancer, and through deception, gave her consent for the doctor to take cell samples. Her cell sample was coded as HeLa, and her real identity was not known. This event starts a fascinating, disturbing tale of medical ethics gone awry, capitalism in medicine, investigative journalism, and the contrasting lives of Lacks descendants. The discovery of Henrietta’s immortal cancer cells, laid the foundation for most of the scientific discoveries we have made, and created a multi-billion dollar industry where her cells were sold all over the world as an infinite supply of scientific testing material. At the same time companies and hospitals were selling the HeLa cells, the Lacks family were living in extreme poverty, with no medical care. 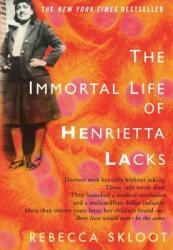 Author Rebecca Skloot bounces back and forth between Henrietta’s final days, and the present day, as she attempts to gain the trust of the Lacks family, discover who HeLa was, and how medical ethics were not always a reality. For a non-fiction book about cellular biology, it is a riveting detective story that also exposes medicines sordid past, and makes the reader question whether advancement of medicine is worth it at any cost. 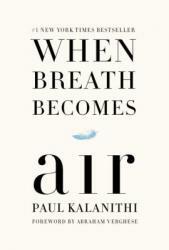 This memoir by a brilliant neurosurgeon who contracts lung cancer movingly describes the anguish of terminal illness from the doctor and patient perspectives simultaneously. An accomplished writer with an astonishing grasp of literature, he side steps all the easy answers and leaves the reader in love with life and astonished by living, not intimidated by disease. This was a great book. I would strongly recommend it to anyone who is interested in how k9s are used in the military or who is just interested in how special operations forces work in general. 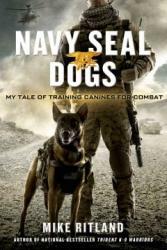 The author shares his story of why he joined the military and became a navy seal. He then started his own company that trains dogs for use in the military. You get to read some of his stories from in the military and how amazed he was at what dogs are capable of doing and how many lives they have saved. You will also pick up some dog training tips that you could use to train your own dog. 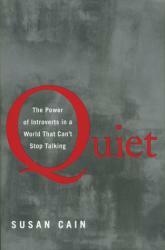 Overall, this was a great book and I really enjoyed it and I think that you will too. would strongly recommend this book to anyone who would be interested in working in the travel or airline industry. 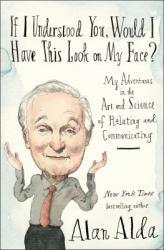 This book really does make you see how it is like to fly a plane through the eyes of a pilot. 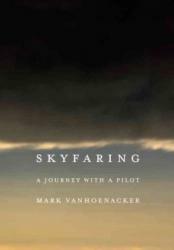 The author explains it almost poetically and nicely splits the book into nine chapters that all compare flying to the name of the chapter. 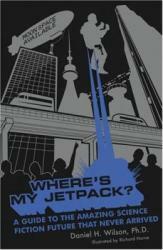 These chapters are: Lift, Place, Wayfinding, Machine, Air, Water, Encounters, Night, and Return. You will really realize that flying is an almost completely different experience for the pilot than it is for the passenger. For example, he points out that as a passenger, you spend the entire flight looking out a small window in the side of the plane but as the pilots, you get a different experience as you are looking out the front and have a better view of the earth. All in all, I thought that this was one of the best books I have read this year and I am sure you would enjoy it too. Mary Roach covers military science in a way that seemingly only she can: by covering the weird, little known aspects like genitalia injuries, shark repellent, military fashion, and, of course, diarrhea. 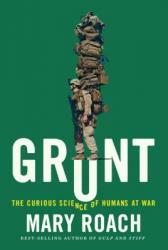 The result is an interesting, engaging and very accessible non-fiction read. I listened to this book, and I think that was probably a mistake. Mary Roach tends to jump around from topic to topic even within a larger topic (in a chapter about shark repellent you may jump from sharks to polar bears pretty abruptly), which can be fun to read, but was hard to listen to. Zone out for a minute, and you'll find yourself completely lost. My listening enjoyment was also hampered by the insane amount of acronyms used by the military. I had a lot of "wait, what does that stand for again?" moments, and in an audiobook, there's not really a way to go back and check, and its not like I'm going to google whilst driving. Oh yeah, and the narrator was not to my taste. Her voice just didn't do it for me. 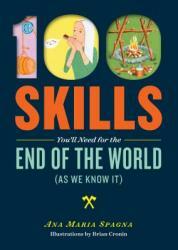 But overall, it managed to be both informative and funny which is not an oft found combination. I really enjoyed it, and I'll be booktalking this one in the fall.